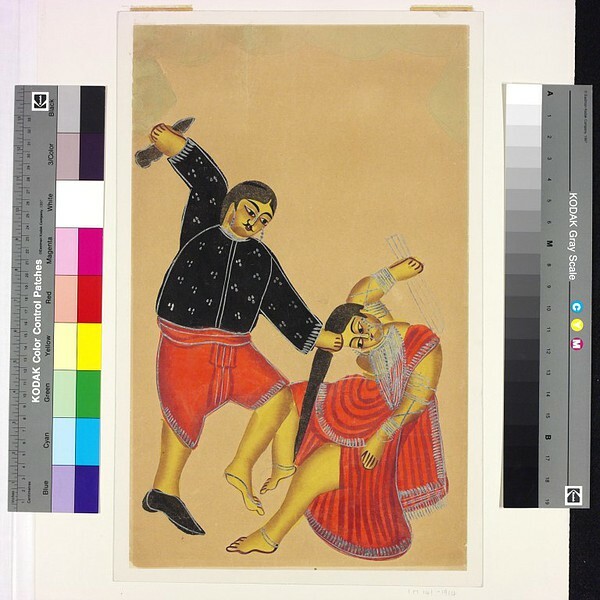 An enraged husband has taken off one of his shoes in his right hand, thrown his wife to the ground and caught her by the hair in order to strike her. The wife is holding a small broom in her hand. The husband, a 'Babu' or a dandy is well dressed and he has parted his hair in the 'Albert' (Prince Albert) style.